Western Australia has some of the most fertile and productive land in the world. Clean water, fresh air and arable soil allow us to enjoy world-best produce all year round. As winter nears its end, we’ve picked our 5 favourite vegetables that are perfect for the change of season period. Celeriac – This is the ‘frog-prince’ of winter vegetables. Pare away its warty exterior and you’ll uncover a royal vegetable within. 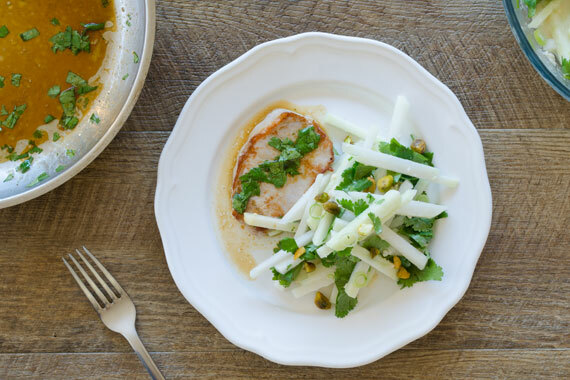 Celeriac is the perfect substitute for potatoes and other starches in soups or stews, but we think it’s even better when prepared as a traditional French side salad. Try it in our apple and celeriac slaw. Parsnip – Closely related to the carrot and parsley, parsnip is a root vegetable that takes one year to complete its growth cycle from seed to harvest. High in potassium and antioxidants it is also a great source of dietary fibre. Try it in our one-pan vegetable lasagna. Cauliflower – Manjimup, in the Southern Forests region, is Australia’s largest producer of cauliflower and at one stage accounted for almost 80% of the countries cauliflower exports. The cauliflower reproduces by seed and takes 12 months from germination to harvest. To enjoy its earthy flavours, taste our delicious quinoa casserole with brussels sprouts and cauliflower. Brussels sprouts – Forerunners to the modern brussels sprout were likely cultivated in ancient Rome. However, the brussels sprout as we known it was developed in about the 13th century in what is modern day Belgium. We think they’re delicious honey roasted and served with steak. Leek – The leek is a titan of the onion family, but one of the challenges when cooking with them is that they are almost always dirty. This dirt is a product of the way they are grown, with soil piled up around them to shade the leek from the sun. We love them in this pan roasted fish with melted leeks and roasted baby potatoes with thyme. Protecting the environment is something we take very seriously. According to Foodwise, the average Australian household bins 20% of all the food they purchase. This equates to more than 4 million tonnes of food waste each year! Our innovative, Perth built technology, allows us to purchase only what we need. By supplying ingredients in the exact quantity, and by avoiding retail packaging, we have created a solution to food and packaging waste. The plastic typically used in food packaging & grocery shopping can take 500 years to breakdown, but it will never return to natural products – instead it simply becomes smaller and smaller pieces of plastic. We don’t believe your weekly food shop should have an impact that outlives our grandchildren, so we’ve invested heavily in environmentally friendly packaging. PLA clear containers – Polylactic acid (PLA) is a biodegradable polymer derived from renewable resources such as corn starch or sugarcane. Ours carbon neutral containers are the perfect alternative to oil based plastics. All our small containers are made from this innovative product. You can recycle these hard containers in Perth’s kerbside co-mingle recycling, but remember to remove the lidding film (Perth’s recycling cannot deal with soft plastics). Cellophane – Cellophane is a thin, transparent sheet made of cellulose regenerated from items such as wood, cotton or hemp. Made from renewable resources, it’s perfect for food packaging and is 100% biodegradable. We use cellophane to pack our spices and pantry products such as rice or quinoa. Perth co-mingled recycling can’t process soft plastics, so dispose in general waste. All the paper and cardboard products we use are made from sustainable and renewable forestry products. 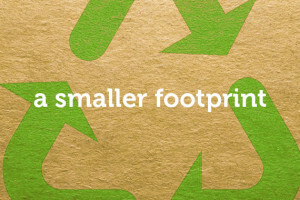 All our cardboard and paper can be recycled and any returned boxes are either reused or locally recycled. Your food needs to be fresh when it arrives at your home, so we use locally made styrofoam eskies (the same type used in broccoli farming). We encourage all our customers to return these so we can reuse them. When a box can’t be reused, we send it to a special facility in Perth for recycling. To keep your food cold, we manufacture and supply gel ice packs. Our water-soluble gel packs are completely non-toxic and non-hazardous. We encourage our customers to return these so we can reuse them. When they can’t be reused, we dispose of the gel (it has no traceable environmental impact) and soft plastic packaging. Recycle the clear containers used for herbs and liquids, but fist remove the soft lidding film. Soft plastics such as lidding film can be recycled at some super markets or workplaces. If you don’t have that option, place in general waste *. Cellophane is made from tree pulp and should go into general waste. Recycle paper bags and other paper products in your yellow top recycle bin. Please return your esky and ice packs. Our drivers will collect old boxes when they deliver a new one. If you don’t intend to receive a delivery again, you can return to our facility (contact us for details). If you’ve ever had the thought; “I’d love a chocolate milkshake right now”, but have been lacking the traditional topping and blender… we have a solution. Driven by desire and a lack of milkshake making equipment, the You Plate It office enjoyed this quick and delicious milkshake – sans blender. In this video we show you how to make a delicious Nutella flavoured milkshake with just a couple of ingredients, a jam jar and a little upper-body strength. Celeriac is the frog prince of winter vegetables. Pare away its warty exterior and you’ll uncover a royal vegetable within: a perfect, ivory-fleshed alternative to potatoes and other starches. It’s an ingredient so epic that it was mentioned in Homer’s Odyssey where even the God Hermes could not help being charmed. Although not popular in Australian kitchens, it has long been a favourite in Europe. A relative of the common leafy celery it has a similar aroma but comes with a more mild flavour. A winter vegetable, it takes farmers about 120 days from seeding to harvest, and actually benefits from a few days of frost before harvest. We find that a paring knife, rather than a peeler, works best for removing the outer skin. Shave downward with the blade in broad strokes. Placing the prepared celeriac into acidulated water (water into which some lemon juice has been squeezed) will prevent discolouration. Celeriac is very low in calories, 100g of root has just 42 calories. However, it’s a very good source of vitamin K, with 100g of root providing about 41µg or 34% of the recommended daily intake. It’s also rich in vitamin C, potassium and fibre. Celeriac is the perfect substitute for potatoes in soups or stews, but we think it’s even better when prepared as traditional French side salad. Try it in our apple and celeriac slaw. As relations between the US (Australia) and Cuba thaw, we felt it was the perfect time to reacquaint ourselves with the Mojito – a classic Cuban cocktail. The Cuban capital, Havana, is birthplace of the Mojito and home to the famous La Bodeguita, a bar where Ernest Hemingway allegedly penned the paean “My mojito in La Bodeguita del Medio, my daiquiri in El Floridita”. The Mojito is a sweet drink, but with mint and lime it’s refreshing and clean tasting. Although a summer drink, limes and mint are available all year round so there is nothing stopping you from enjoying this drink in any season. In a highball glass, muddle (that is, crush with a pestle) mint leaves in the sugar syrup and lime juice. Add rum, ice and stir. Top with soda water and garnish with a sprig of mint. Or, shake vigorously with ice all but the soda, and strain into a highball glass with ice. Top with soda and garnish with mint. Be sure to avoid crushing the stems of the mint. Enjoy this delicious drink & remind yourself of sunny times spent on beautiful beaches. What is You Plate It? We’re a meal kit delivery business based in Perth, Western Australia! We specialise in sending all the fresh, pre-portioned ingredients you need to make delicious dinners at home. We believe there is something special about enjoying a home cooked meal, and don’t think a busy modern lifestyle should get in the way of this simple pleasure. You Plate It was started by two mates, Paul & Mark, who are passionate about food and believe cooking a delicious dinner at home should be easy. We believe Western Australia has the best fresh produce in the world and we want to share the states amazing produce with our customers. We draw inspiration from ingredients that are local and seasonal. We love to combine our fresh produce with unique ingredients or a new cooking style to make your dinner restaurant quality. You choose the meals from This Week’s Recipes page and we take care of the rest. 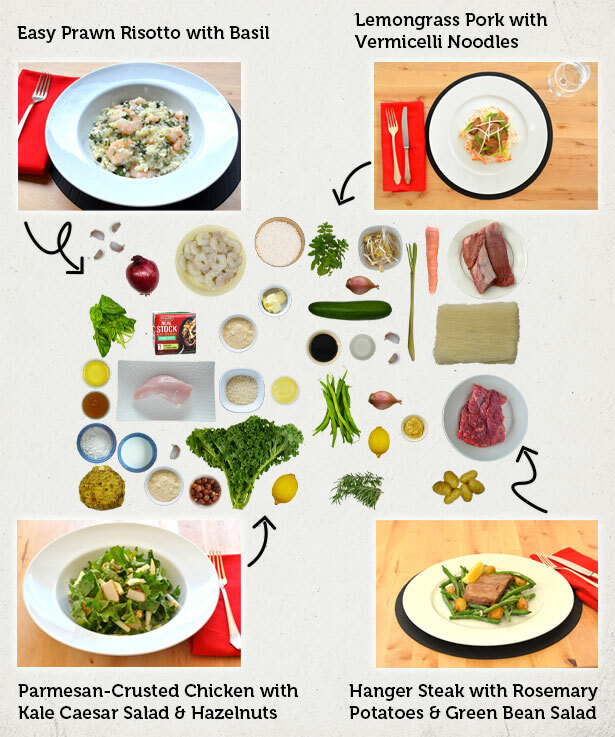 We pack and send everything you need to cook a recipe. All the ingredients are pre-portioned to reduce waste and the packaging is 100% biodegradable. Our Boxes can come with enough ingredients to generously serve 2 or 4 people. Here at You Plate It, we love to use fresh herbs. But preparing all those tasty ingredients can take time. In this video, our Co-founder Paul demonstrates how slicing your herbs (instead of chopping them) is a fast and easy way to prepare them. This technique is perfect for herbs such as mint, basil and parsley. First, pull the leaves off, it doesn’t matter if you get sections of the stem. Then fold or roll the leaves into a ball. Finally, slice across the herbs and you’re done! This technique is not only fast, but it will leave your chopping board free from the green stains often seen when chopping. Spaghetti squash is a paleo friendly, low carb and gluten free noodle alternative. We source ours from a local farm near Manjimup. Because it has mild flavour we recommend enjoying it with a flavourful sauce or soup – the team loved it with feta, chickpeas, and wilted spinach. Although popular in North America for many years, it remains relatively unknown in Australian kitchens. The middle contains many large seeds, and its flesh is bright yellow (almost orange) in colour. When raw, the flesh is solid and similar to other raw squash. When cooked, however, the flesh falls away from the sides in strands and looks remarkably similar to spaghetti or vermicelli noodles. 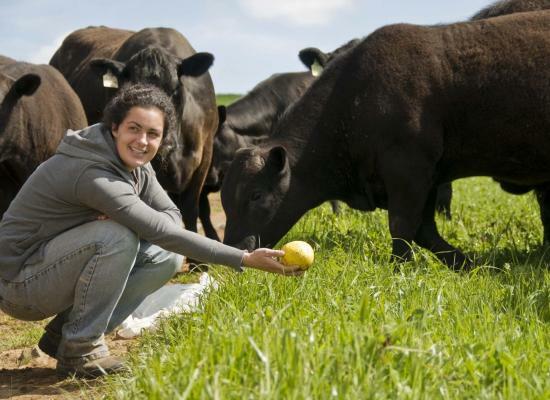 We believe in providing quality, fresh local produce; so our spaghetti squash is sourced from WA grower Alexis, who with her husband Kim, grows spaghetti squash near Manjimup in WA’s Southern Forests region. The pair also run the Diamond Tree Angus Stud and the Diamond Tree Farm Stay (a great place for a cheeky getaway). Alexis on her farm near Manjimup, WA. Watch Paul, co-founder of You Plate It, demonstrate how he cuts onions quickly and easily. Paul’s Tip: Wearing contact lenses will all but eliminate the tears commonly associated with cutting an onion – another advantage to bad eyesight. How Do We Save You 20% Compared to The Supermarkets? 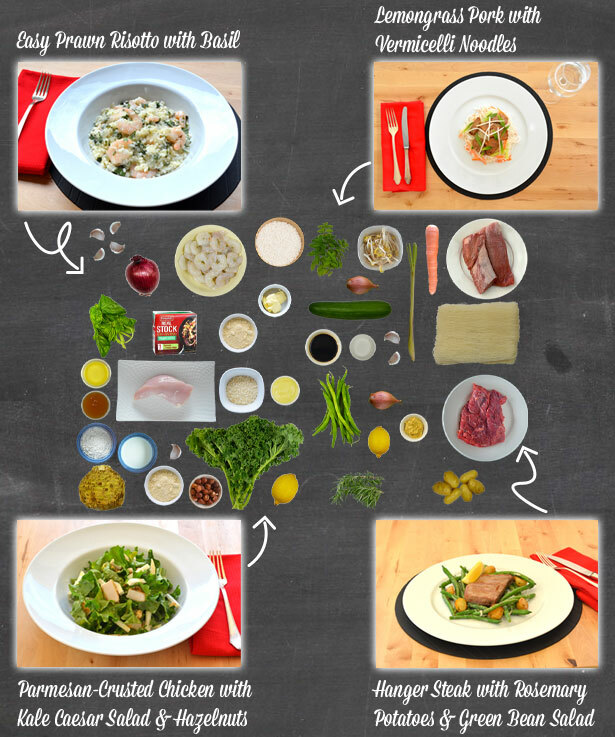 Finally, we reduce food waste and supply the right amount of ingredients you need for a recipe. These three reasons (and many more) mean we can save you 20% when compared to shopping for the same menu at your local supermarket. More important than saving money is the quality of what we provide. We work closely with Perth’s finest fresh produce providers to ensure we supply the very best. It costs us a little more to buy high quality ingredients, but we are passionate about our food and want to give our customers the best. We work by the motto, “we only give our customers what we would give our mums – the very best”. Our members save money, get high quality produce and have a team of dedicated food lovers preparing their weeks menu. We look forward to more people joining the food revolution and enjoying the many benefits of You Plate It.